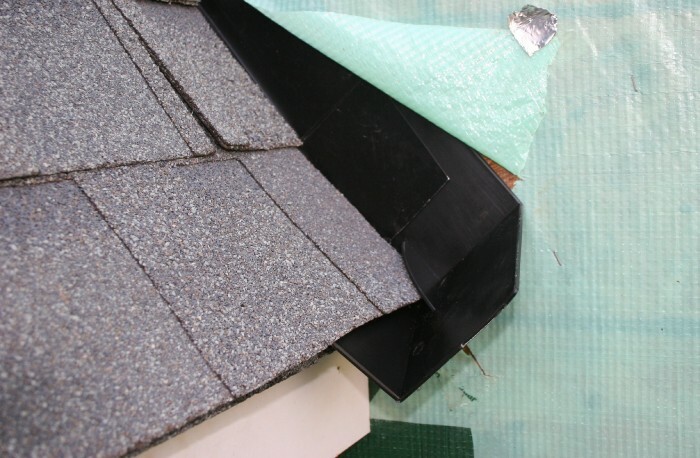 Roof kickouts are Code Required on all roofs that intersect with a wall to your home. 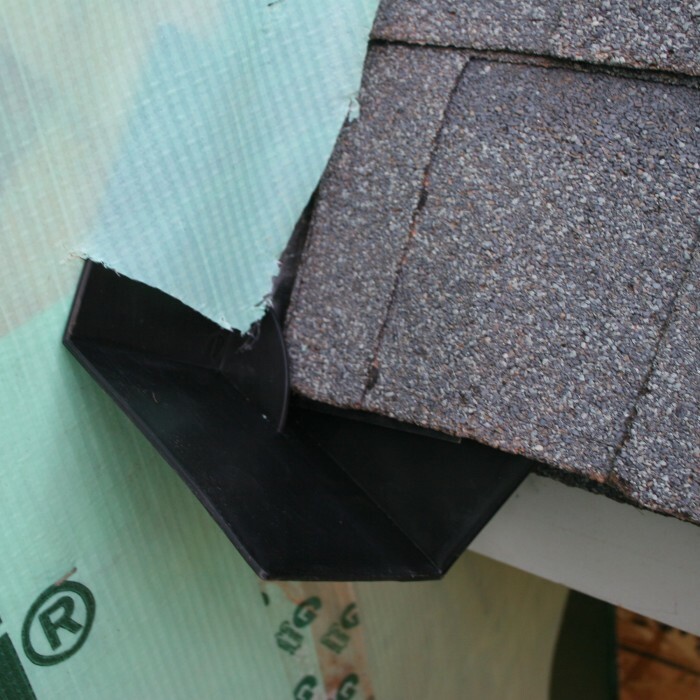 These simple and easy to use universal kickouts are put on your roof to do one easy and simple task; divert water from behind the siding material of your house at the point where the step flashing stops at the eve line. 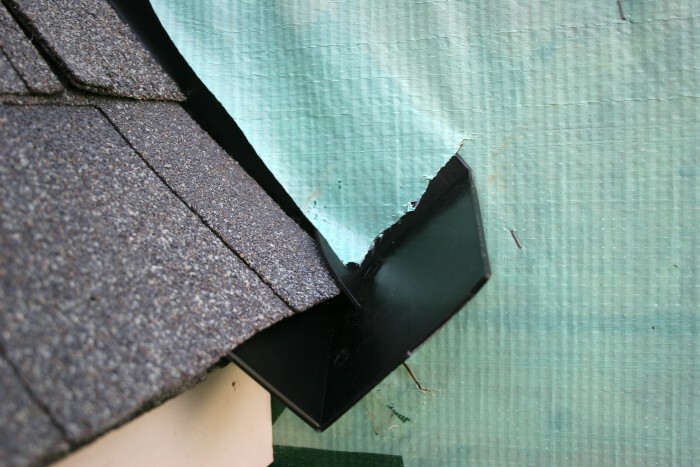 These kickouts are designed so that no water is allowed to run down behind your wall cladding material, and instead the water is "kicked out" to the gutter. 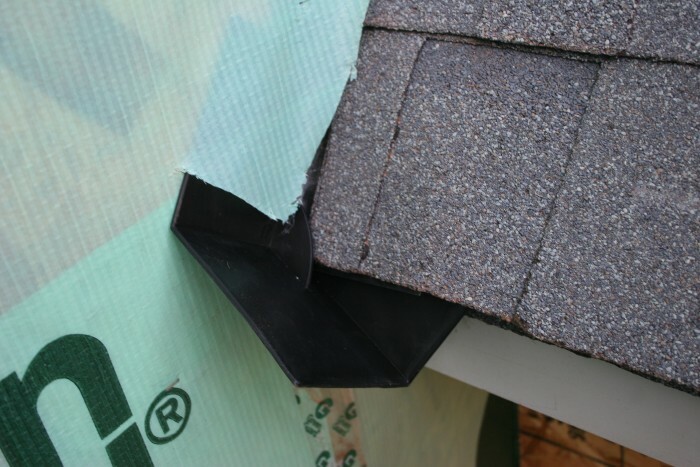 The easy to use kickouts are placed right under or behind the shingles and step flashing. 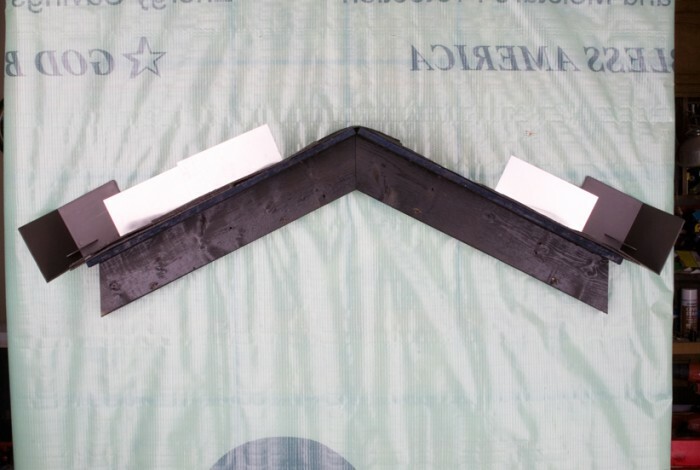 Since they are molded you don't have to rely on welded or soldered units that could fail, or a roofer that says he can bend one for you on site and caulk it. (We all know what will happen to that piece over time.) There are no rights and left pieces, but instead one piece that can go either way. 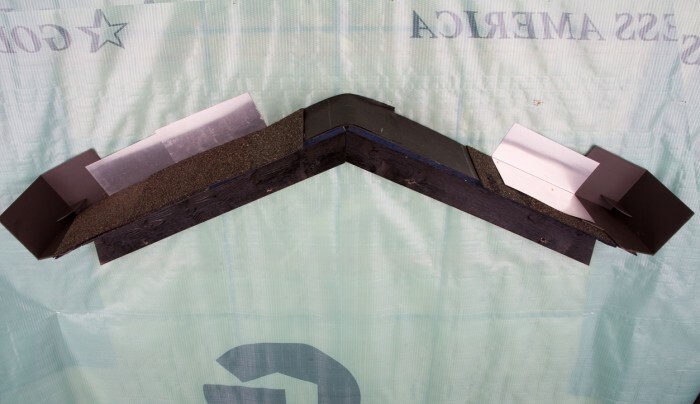 Our kickouts are made of polypropylene, don't react with metals, and come protected with uv inhibitors. 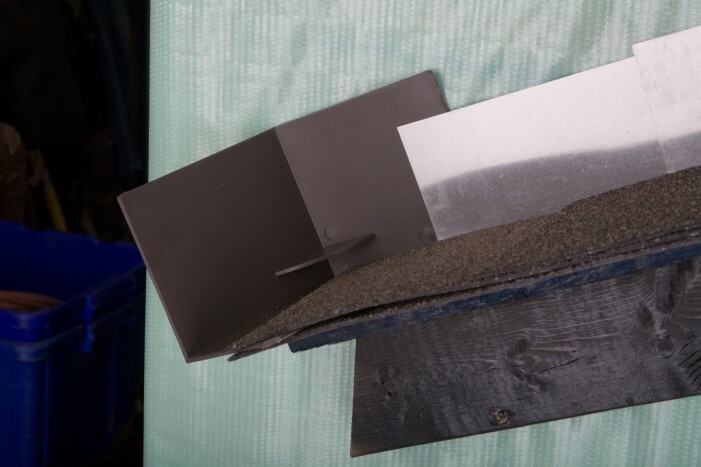 We make them in black, white, and brown colors. 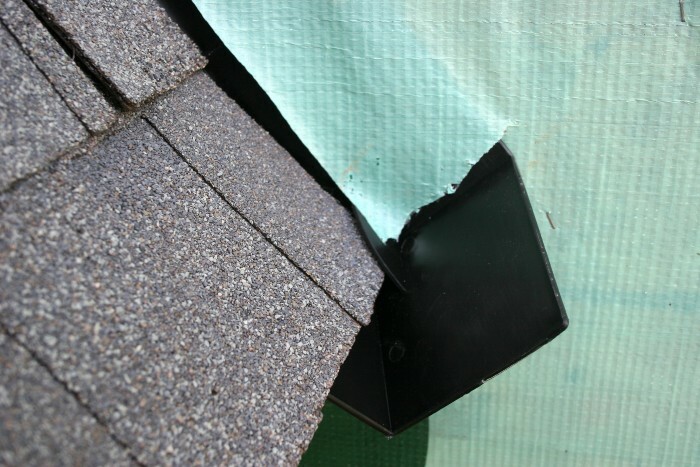 Roof "kickouts" are Code Required on all roofs that intersect with a wall. 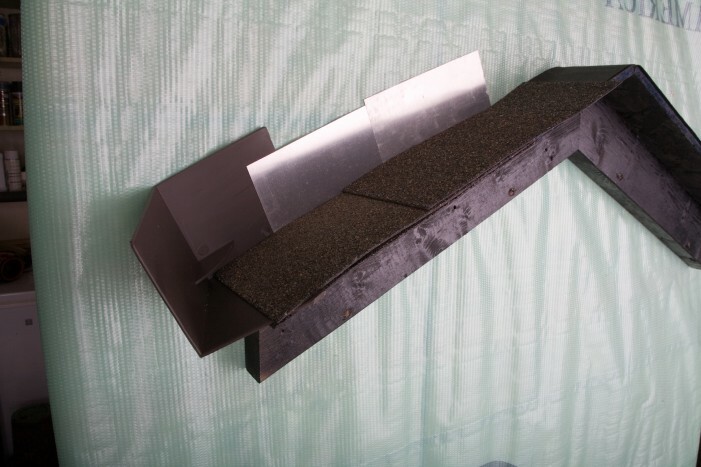 These simple and easy to use universal kickouts are put on your roof to do one easy and simple task; divert water from behind the wall cladding material of your house at the point where the step flashing stops at the eve line.